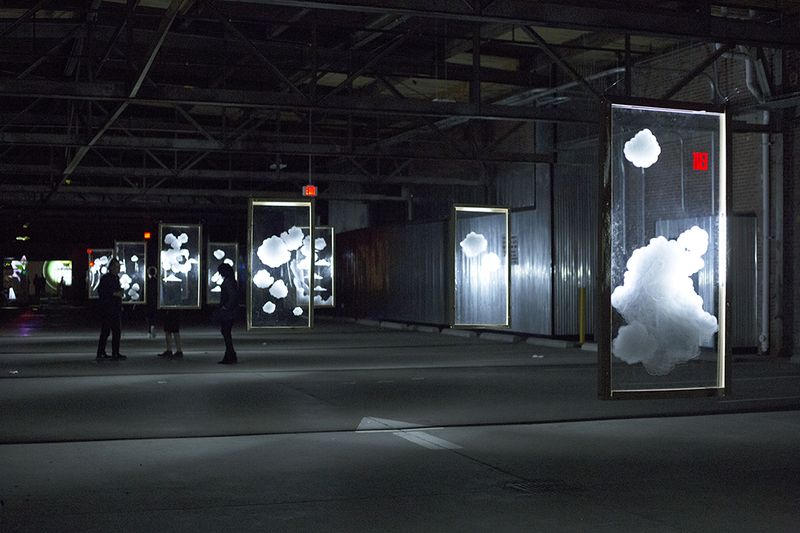 Clouds etched into plexiglass windows, illuminated with LED lights. 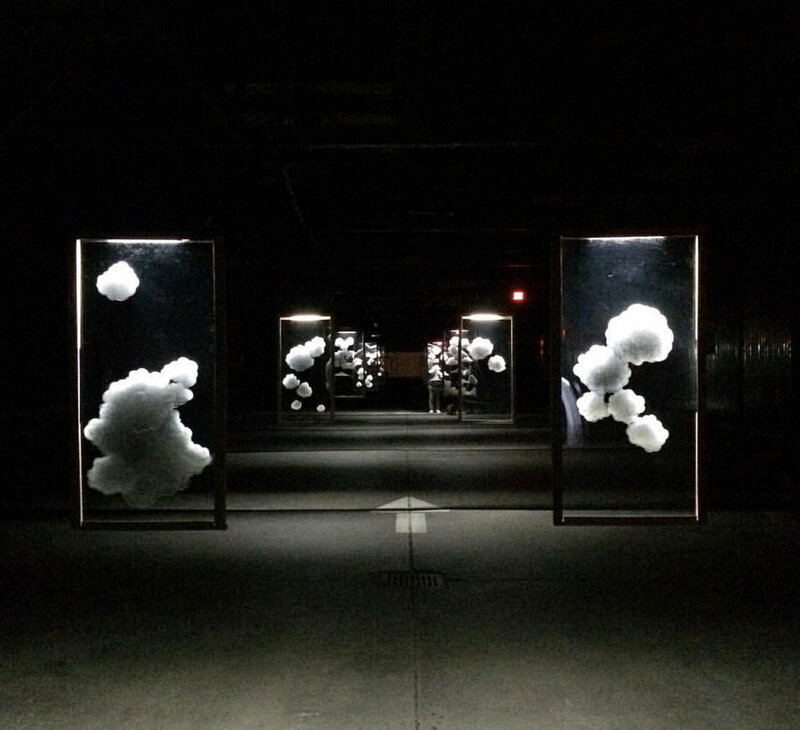 The windows were suspended from the ceiling within a parking garage in the Scotts Addition neighborhood of Richmond, creating a dreamlike landscape for visitors to walk through. Created for InLight Richmond 2016, a 1708 Gallery Exhibition.